SHIP MY RIDE is a vehicle shipping company, we ship cars, SUV's and trucks all over Canada with a high quality standard. We know our customers have different preferences and requirements and we adjust to those requirements to keep our customer's satisfaction as one of our main priories. We have been able to remain in the market for many years, so we count with an exceptional experience and it shows every time we give our vehicle shipping services. We offer many car shipping services, one of those is the Door-To-Door service which basically consists in us picking up your vehicle at your house, and not only that but we will also be in charge of dropping-it-off at your newest location! How many vehicle shipping companies offer you a tracking system? Not many, right? At SHIP MY RIDE we understand your car is one of your most valuable goods, therefore, we have implemented an extremely easy-to-use tracking system tool, in order for you to be able to track down your vehicle during its transportation. What's better than keeping an eye on your car while it's being shipped? 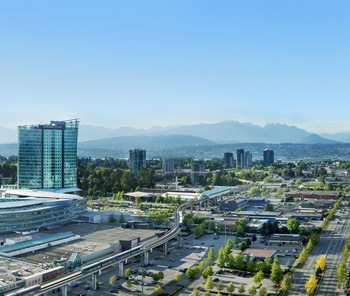 In the 1980s and 1990s, Surrey witnessed unprecedented growth, as people from different parts of Canada and the world, particularly Asia, began to make the municipality their home. Surrey is projected to surpass the city of Vancouver as the most populous city in BC by 2020–2030. 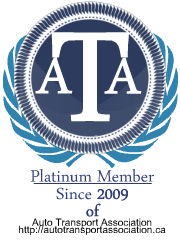 We transport across Canada and we also ship vehicles from or to the United States. Contact SHIP MY RIDE now and find out our next car shipping trips available for you. You can also, click on Get A Free Shipping Quote and we will be more than happy to give you all the information you need about your shipping process! Remember, At SHIP MY RIDE giving a service on point, will always be one of our goals!